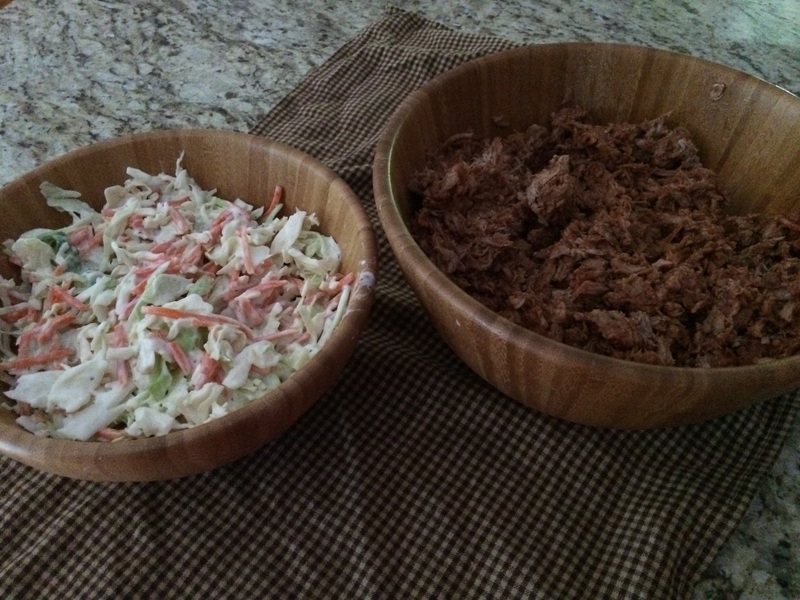 Pulled Pork and Cole Slaw – Easiest Recipe Ever! 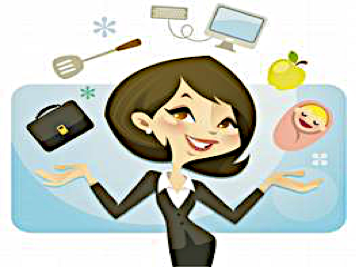 A few years ago, it seemed like pulled pork became the new dinner craze! 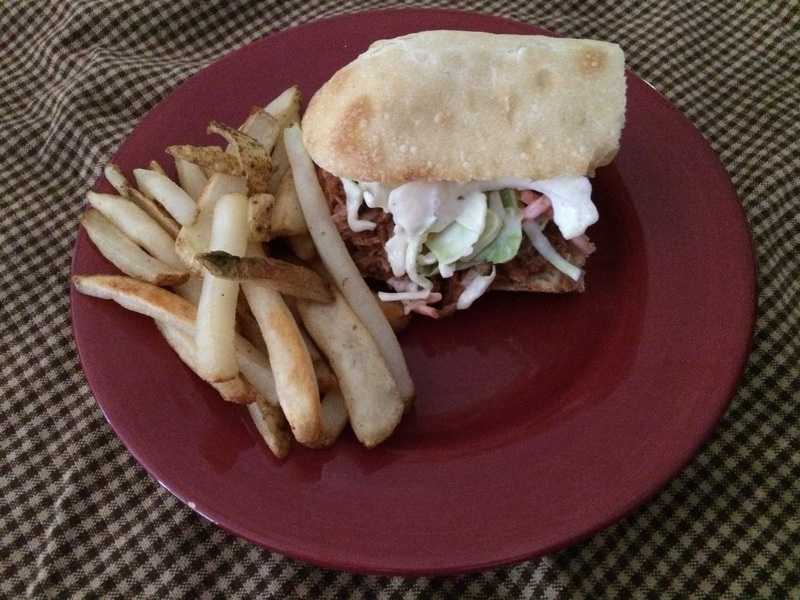 I wanted to make it, but wasn’t into the rubs and the full day cooking so I created my own quick, easy and yummy way to make pulled pork using a pork tenderloin. 1. Preheat oven to 400 degrees. 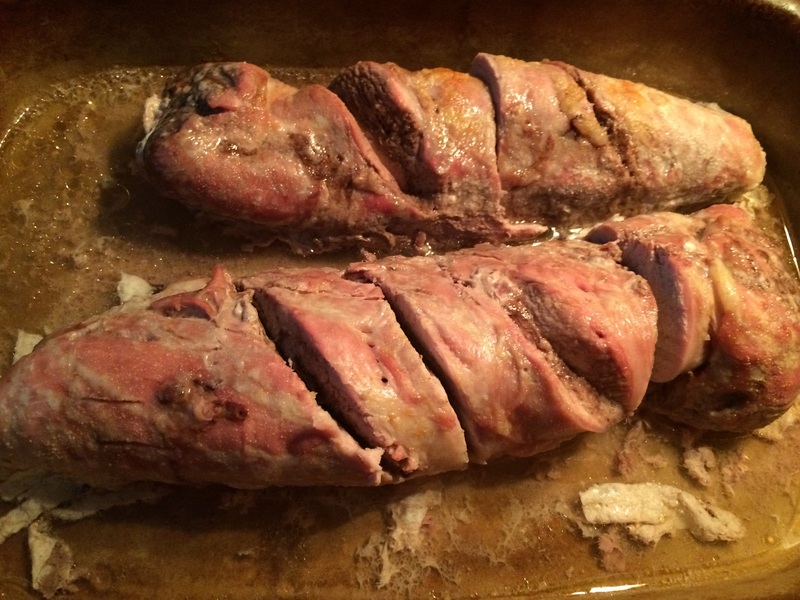 Take Pork Tenderloin out of package and put in a small roasting pan. I use a Pampered Chef Stoneware stone. 2. Drizzle olive oil over the pork and season with salt, pepper and garlic powder. Bake for 40-50 minutes or until no longer pink in the middle. 3. Remove from oven and cool slightly. 4. Slice the meat lengthwise so it will fit in the tube of your food processor. 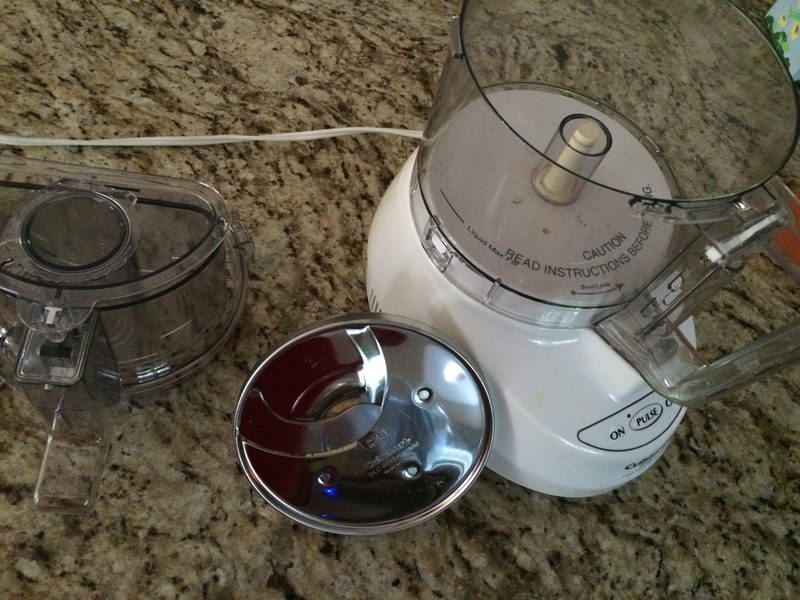 Set the food processor up with the shredding blade. Feed the pork in to shred the meat (depending on the size of your processor, you may have to empty shredded meat a few times as you go). 5. 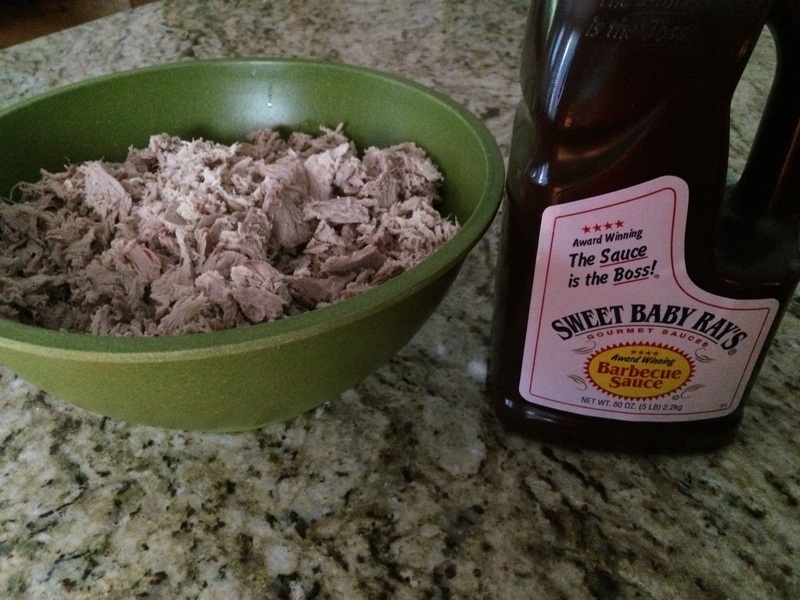 Pour shredded meat into a bowl and fold in BBQ sauce. The amount of sauce you use will depend on how you like it. I use enough sauce to make sure all the meat is covered and none of it looks dry. 6. Once BBQ sauce is mixed in, you are ready to serve. 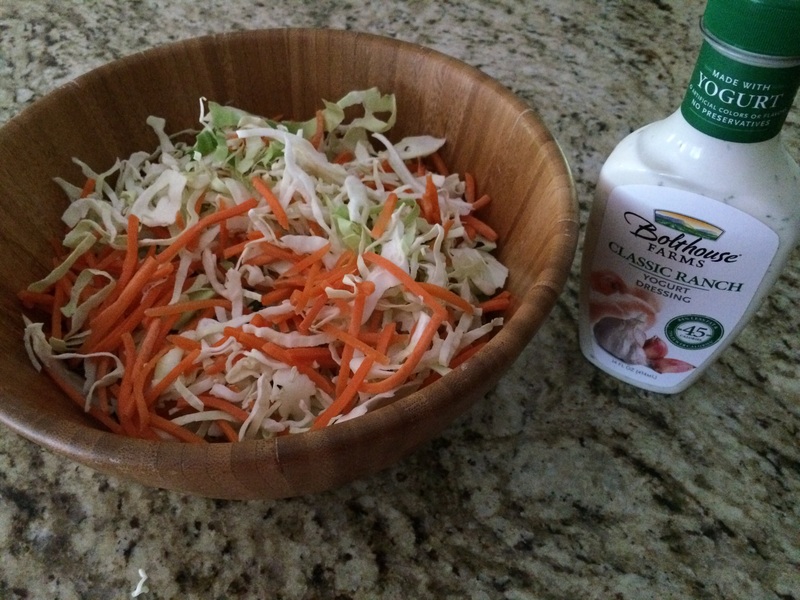 I like to serve it on a roll topped with cole slaw (see recipe below). 1. Pour cole slaw into a bowl. 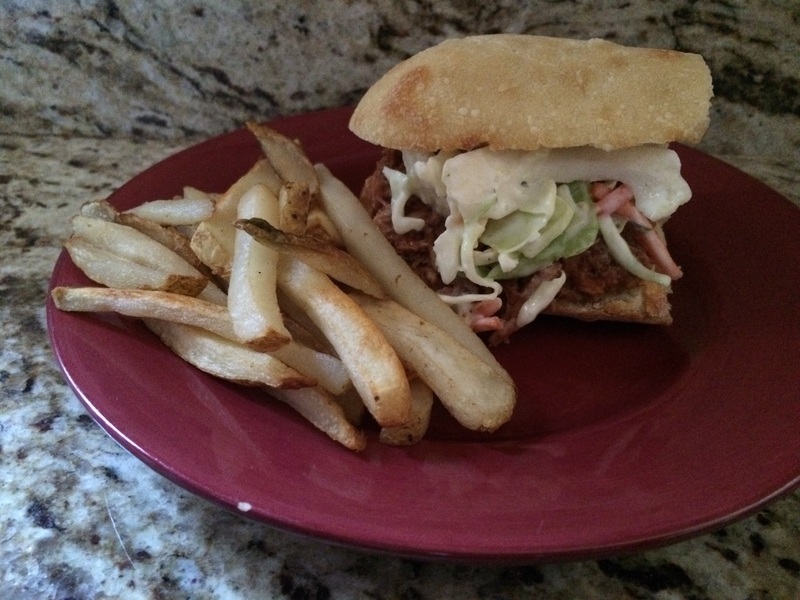 This entry was posted in Recipe and tagged BBQ pulled pork, cole slaw recipe, pulled pork and cole slaw, Pulled pork recipe, summer meals.